I am heartbroken, been crying most of the day. How could we know that Camp Cornwall was going to be the last time we saw her. We talked about my Disney holiday, her Disney Christmas tree, Violet and Perranporth, her love of my lemon drizzle and millionaire short bread. We message back and forth about poor baby Violet her hospital result, not doing Christmas as they had hoped etc but no way did I expect this. Jill was such a wonderful giving person like no other and would do anything she could to help. I have never seen such a couple like Jill and Tone to be so right for each other. Tone has lost his soul mate, the 4 paws the most wonderful mum and we have lost another very dear friend. Such dreadful and sad news - it is so hard to believe that Jill is no longer with us. Tone and Jill were such a devoted couple, full of love for everyone be they two or four legged. I too have been looking at photos of those early days in Cornwall all day. Remember all being there the day that Kaths photo was taken. I think we will all have wonderful memories of her. This is devastating news, sending much love to Jill’s family and friends. Jill was one of the most amazing people I have ever had the pleasure of meeting. I haven’t been in touch with anyone for the past few years so this news has come as a terrible shock, can’t believe I’m actually writing this. 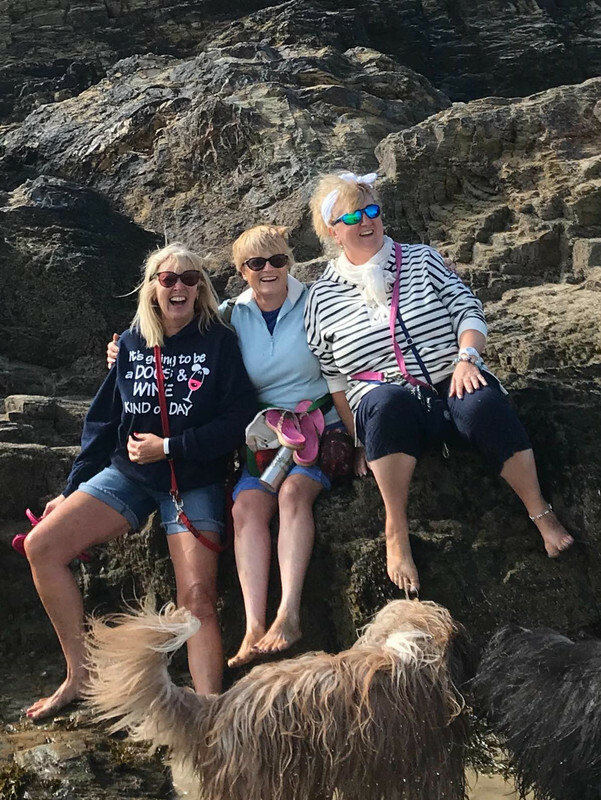 Remembering those early years at camp Cornwall and Crufts, Jill welcomed you into her heart, I was so nervous about meeting new people but Jill made it so easy. She was just that kind of person, remembering the good times and the laughter. I can't believe that our lovely Jill has gone. Such a beautiful person, an absolute joy to know, so generous and giving, so clever with her writing so gifted with all of the great things that she could make and also so comical and so nice. Our thoughts and our hearts go out to you Tone, bless you. R.I.P Jill, like so many hearts mine is broken today. Just heartbroken. A truly magical and wonderful lady. My condolences to Tony. I am stunned and speechless. Have just seen the unacceptable news on her Facebook page and still can't believe it yet. I just had to come back 'home' to where it all began for me and for many of us. Jill was always part of the welcoming committee when I joined Just to find out if owning a beardie was the right thing for me. Well here I am again, hoping and praying that Jill has made it to the Rainbow Bridge to be welcomed by a whole host of familiar beardies that have gone before us. I know my dear Dunsley is in very safe hands now and I'm sure many of you have had similar thoughts about your own beardies who are waiting there. It still wont sink in, we were only chatting a couple of days ago about her treatment and just how similar our diagnosis were, even compared scars. I felt sure, just like me, she would kick this dreadful disease to touch but it wasn't to be. Yet again a reminder to me to make every single day count. Words so true, Jill has been a friend to so many of us, I was looking out last night and saw a bright shining star and thought Goodnight Jill , I guess that’s you watching over us now, the brightest star in the sky. Like you Annie , I am sure Panda is there with all our loved beardies waiting to meet our very own Beardie mom. I really don't know what to say. I was stunned when I heard this awful news, my heart goes out to Tony. As many of you have said they were a loving and kind couple, and not just with regard to beardie matters. When I found myself having to make a home in Wales at very short notice they gave me very welcome support, on one occasion with Jill looking after Millie all day while Tony first took me to Ikea and then sat there for hours while I sorted out furnishings for my new home. Sleep well Jill, you will always be with us. The posts here and on Facebook show just how much everyone loves Jill. 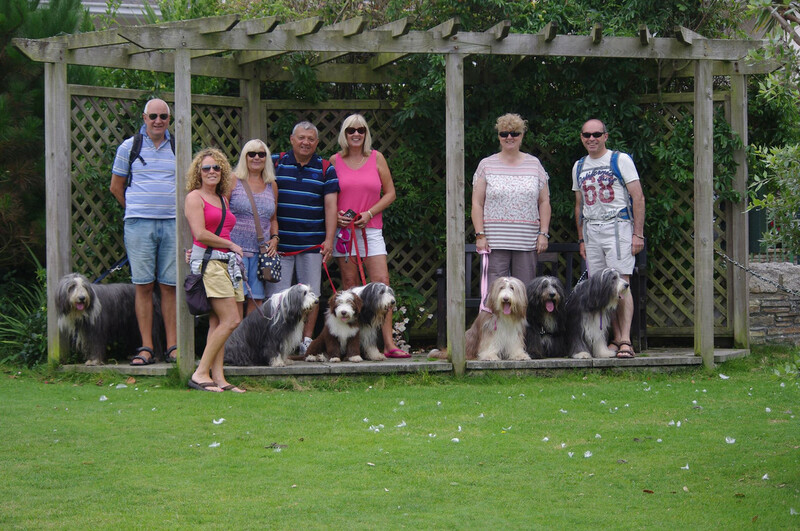 I remember the welcoming hug and smile when I met her at Crufts a few years ago, she was so happy and smiley surrounded by her many friends from the Beardie world. Utterly shocked and saddened at this dreadful news. Our thoughts are with Tony at this awful time. I on this morning and this news and have spent the whole day in shock. I'm devastated. My heart goes out to Tone and all her family. You were all so lucky to have met her. I felt like I had. She sent me little things that she'd made which I still have, and will always will. Sorry I am so late posting. Internet problems. Sorry, there just are no words, only tears. Have just read this and cannot believe it. Jill was so kind in every way and so many Serbian dogs owe her so much. This is absolutely heartbreaking. Sincere condolences.